(Newser) – If you live in the Northeast or Midwest, you're not dreaming: It's going to be a white Christmas. 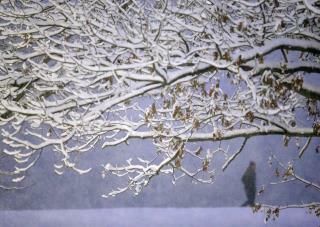 But the trade-off is hazardous driving conditions across New England and the Great Plains, the AP reports. The National Weather Service (NWS) tweeted a list of emergency supplies to have on hand during holiday travel. "Before long road trips, it’s important to check the forecast at weather.gov so you know what you’re driving into. Also, be sure to prepare your vehicle for the journey ahead," it said. The list included flashlights, blankets, and portable shovels. Love snow in spite of all the hassles it causes. And this is why I wont get home till noon.